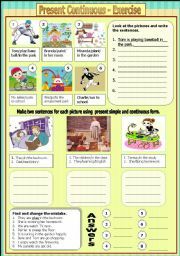 This ws consists of nouns and pronouns it has exercise for both topic, two pages in total. Cheers. 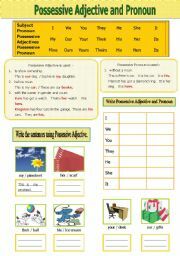 A worksheet for students to practice on all the Ds´ question. This is another writing activity I prepared for my next week class. 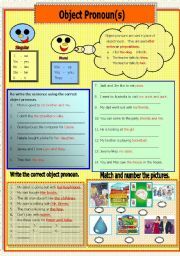 The aim of this ws is to let the students have more writing practice. 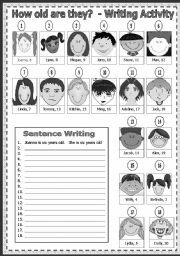 This worksheet is for upper elementary. It consists of 3 pages. 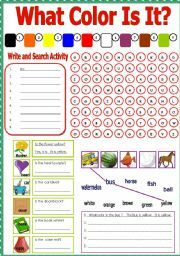 4 writing activity. 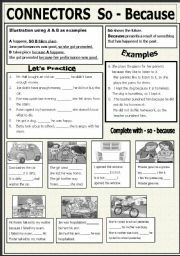 Write sentence using so / because. I have yet to prepare the answers, if you need please PM me. 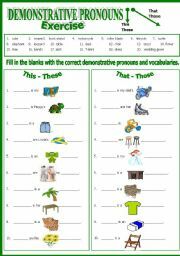 This is another worksheet for class drillings. I used this to teach new vocab as well. 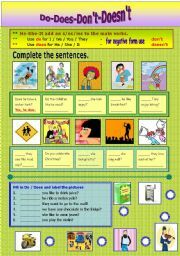 It is a writing activity, choose the vocab from the box and fill in the correct demonstrative pronouns and vocabularies. This is another drilling worksheet for my class during their winter vacation. Simply match and write the sentence. It is for younger student. 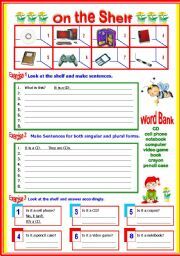 This worksheet comprises of brief explanation and exercise, a good drilling for students. 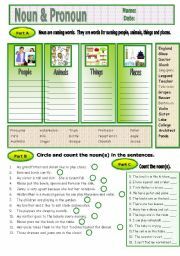 This worksheet has writing, matching activities another exercise for the students duing their winter vacations.